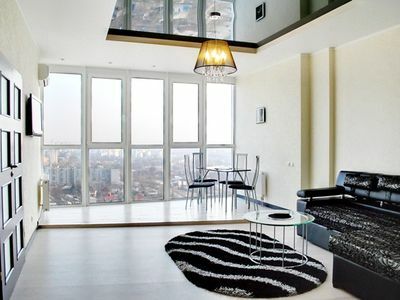 Gagarin Plaza is a most luxurious apartment complex in Odessa. 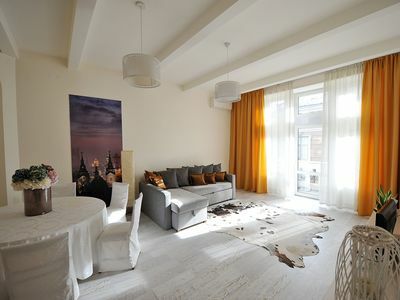 Newly built and part of the most exciting location of Odessa: Arcadia beach. 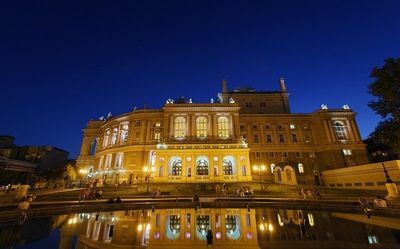 However also very close to the old French city center of Odessa that is easily reachable through the beautiful and romantic boulevard , French Boulevard. 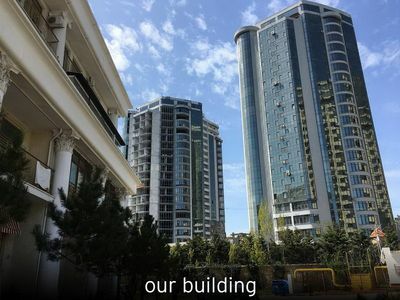 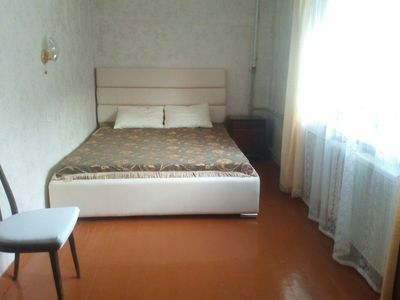 The apartment is managed by Odessa Trips ( real estate partners) and has 24/7 service available. 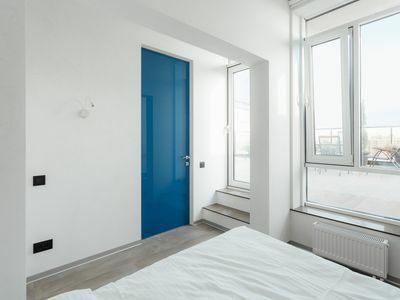 The apartment will suit all your wishes for sure as everything is thought of to the smallest detail, for your comfort, convenience and pleasure. 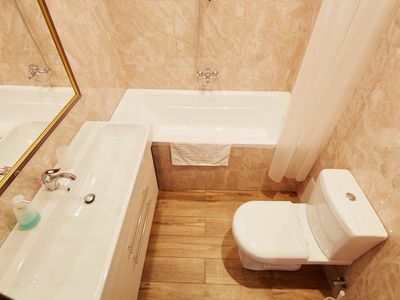 Our luxury apartment is located on the 17th floor in the very heart of Arcadia and only 3 minutes walk from the beaches and 6 kilometers from the city center, evening and night entertainment and walking avenues and museums. 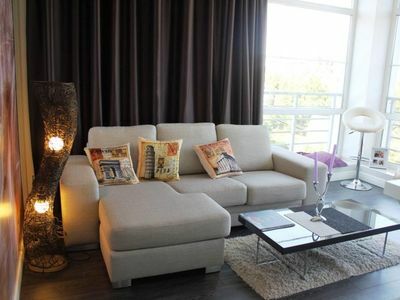 The apartment will please you with its elegance, the panoramic view at the sea and country side. 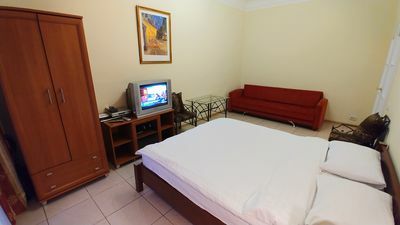 Our apartment is very spacious, stylish, comfortable and well equipped, provided with luxury and functional furniture and of course with wifi, flat screen TV and all other facilities that make your stay unforgettable. 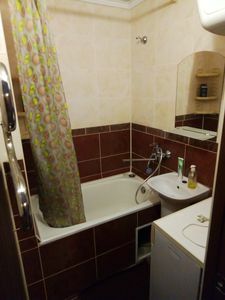 Bathroom and kitchen provide you with all facilities and devices you might expect in an apartment as ours. 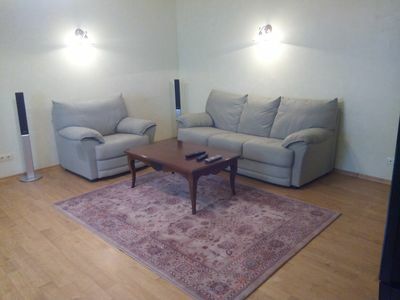 And this includes of course also air conditioning in every room of the apartment. 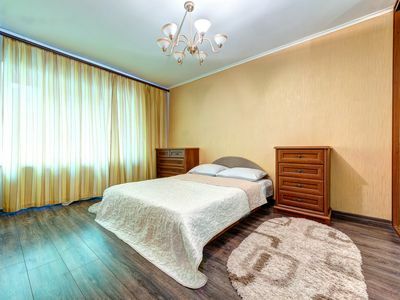 We are certain you will enjoy your stay in our apartment to the maximum and have a stay in Odessa that will be unforgettable and that will make you wish to return many times.